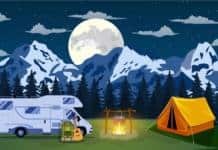 Here’s the case of the couple that wants to break into full-time RVing. That’s a serious step, since “all your worldly goods” go with you, wherever you go. Their decision is to go with a motorhome – and they want to stay with a gasoline engine rig. After paring down their “stuff” they need to take with them, they are quite dismayed to learn that most of the gas-fired motorhomes barely have enough “CCC” (cargo carrying capacity) to tote themselves, their possessions, and the additional equipment they’ll need to live largely off the grid. Sad to say, limited weight capacity for cargo is a reality for many RVers. It would seem that manufacturers, who want to build to whim and fancy, tend to stuff their units with plenty of flash and bling, and a lot of it pumps up the scale weight. In the case of the couple we cite, they’re findings were the typical CCC of rigs they looked at amounted to barely 2,000 pounds. With their own weight, that of their gear, pets, a couple of extra batteries, they’d nearly double the rated capacity of many rigs. What’s to be done? Again, the manufacturers don’t exactly make it easy. As far as “shopping the Internet” for a perspective rig, you may as well forget it. There’s little information available on RV manufacturer websites to give you any sort of inkling what the cargo capacity of a perspective rig is. Sure, you’ll find the total weight capacity of the rig, but with a plethora of options, and a paucity of other weight information (maybe it’s purposeful), about the only way to know what the CCC of a rig is, is to walk onto a dealer lot and personally inspect the weight ratings paperwork, posted somewhere in each new rig. What’s to be done? It almost invariably requires compromise. It may mean the dreams of a gas-fired motorhome are up in smoke. It’s possible, depending on the design of a ‘desirable’ rig to work things out. One way is by weight redistribution. 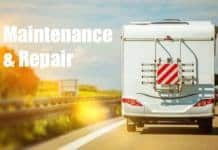 While the actual CCC of a given motorhome may be less than you “need,” is it possible to hitch a utility trailer to the motorhome, put the excess weight there, and still be within the total capacity of the motorhome in question? It could mean a re-evaluation of your needs. Since the carrying capacity of a motorhome includes how much fuel (both LP and engine food) and liquids are on board, what would happen if you didn’t travel with everything “full up”? Some RVs are equipped with huge fresh water tanks. With water scaling in at about eight pounds per gallon, would it hurt you to throw off over 300 pounds by traveling with that 80 gallon tank only half full? Yes, if you’re boondocking, you need water. But carrying more water to your rig with a portable water tank or water bladder is possible, and taking out the waste water is a similar possibility. And while a costly choice, lithium batteries instead of flooded lead-acid batteries are certainly lighter. Or it could mean a wholesale switch in your thinking about what sort of rig. The CCC of many fifth-wheels and travel trailers may give a better picture for those who really can’t lighten up the gear load and find the miniscule capacity of some motorhomes just doesn’t cut it. As long as “splash sells,” it’s doubtful that manufacturers will build-down to a standard where a the amount of gear that a full-time RVer, or even a serious snowbird will find carrying capacity is going to be anything but a matter of making tough choices.